Identifying different types of poetry is an important skill for third graders to grasp. 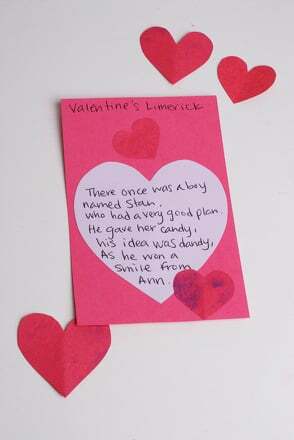 Help your child create a lovely limerick in celebration of Valentine's Day! He'll be introduced to the specific rhythm, rhyme and structure of these catchy, upbeat poems. Your child will delight in creating and reciting these nonsensical poems rooted in 18th century Ireland! Explain what a limerick poem is: a funny or silly poem containing five lines. The first line, the second line and the fifth line rhyme with each other. The third and fourth line rhyme with each other. They also have a specific rhythmic beat. The first line, second line and fifth line have a beat of three (usually 7-10 syllables). The third and fourth lines have a beat of two (usually 5-7 syllables). Have your child continue practising the limericks until he grasps the rhythmic beat. 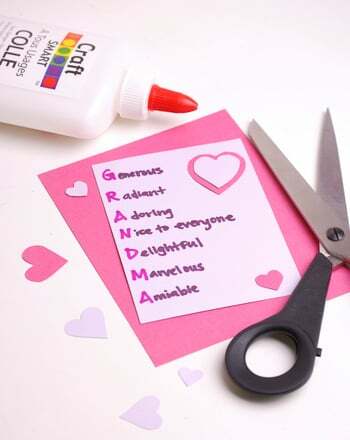 Ask your child to make a list of words that have to do with Valentine's Day. For example: hearts, flowers, cupid, candy, red, pink, etc. Invite your child to start with a name that is one syllable and easy to rhyme with other words, such as "Ted." He can then make a list of rhyming words, such as bed, said, red, led, fed, etc. Whose favorite colour was red. No hearts came his way. So he cried all night in bed. Who had a very good plan. As he won a smile from Ann. Have your child write his limerick neatly onto lined paper. Finally, ask him to cut it out and paste it onto construction paper. Decorate the paper with markers, stickers, glitter, etc. Our limerick worksheet is sure to tickle your kid's funny bone! This limerick exercise teaches her how to write a limerick. Have her examine the rhyme scheme of this silly limerick, and soon she'll be making her own!